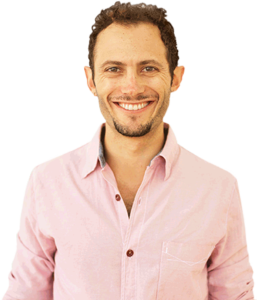 Today we’re talking to AppSumo founder (aka Chief Sumo) Noah Kagan. Noah was employee #30 at Facebook and headed up marketing at Mint.com before it was sold for $170 million to Intuit less than 2 years later. 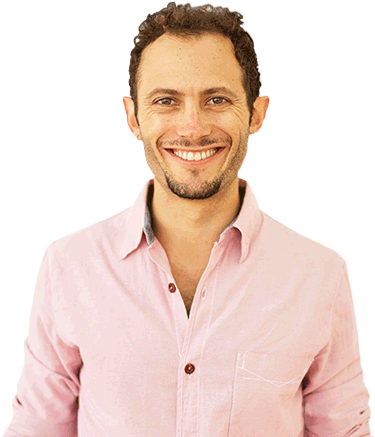 His popular course Monthly1K.com helps budding entrepreneurs take action, validate their idea and launch businesses. Noah keeps a personal blog at Okdork.com focused on startups, marketing, self-exploration and his very public love of tacos. Launched AppSumo for $50 after realizing an opportunity to sell deals for digital products and services. Today the site helps entrepreneurs earn money and grow their business with daily deals and courses that get you started on the right foot. Noah’s primary goals for AppSumo are to forget the haters and have fun while helping others. Why it’s crucial to be genuine and have passion for what you do or people will see right through it. How personal development is just as important as business development and are contingent on each other. Noah knows firsthand you can’t be a mess in your personal life and keep growing a successful business. Shares his personal battles with depression, getting fired from Facebook and how he made small, consistent changes in his life to move forward. Encourages entrepreneurs to pay attention to what they gravitate towards and what people ask them about. Noah realized everyone kept asking him for marketing advice. He knew he could help people get their businesses up and running through Monthly1K. Why accountability is key in launching and growing a successful business. Noah saw his students needed accountability and put steps in place to keep them from moving forward without finishing the previous task first. How Noah helps students conquer their fear of rejection and failure with a simple Starbucks technique anyone can try today. Find out how the GERBY technique shapes Noah’s entire day and happiness. Encourages everyone to challenge old assumptions they’ve carried around for years and question their validity and usefulness. His harsh words for wantrepreneurs who just want to play business by chasing overnight success tactics instead of doing the real work involved. Why all the marketing in the world won’t turn a lackluster product into a success, and how word-of-mouth marketing is Noah’s greatest marketing tool. Noah explains marketing something no one wants is just an uphill battle you can’t win. Shares his own insights on underutilized marketing channels, including mobile traffic and English speaking markets abroad. Gives entrepreneurs a challenge to take action in the next 24-hours and figure out how to earn $1 to help validate their idea. Wantrepreneur – Someone who only talks about launching a business and pursues tasks that only serve to distract from the end goal. For example, getting business cards, a business license, and a professionally designed website before ever validating an idea is a wantrepreneur red flag. Idea validation – Taking an idea for a business and doing a few simple tests to prove there is a demand for it and people will pay for it. Among other methods, Noah encourages students to make their first $1 and find 3 paying clients to validate a business idea.